1) Yellow: Yellow is associated with a sunny personality. You are an outgoing person with a great senses of humor. When using yellow in your interor, pair it with neutral color or a cool color like blue. 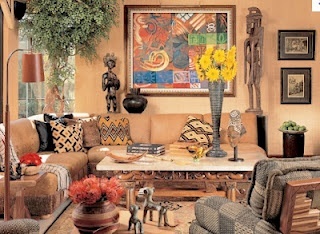 Too much yellow can lead to heated arguments, thus it is best to use it in small amounts, more like accents. You can tone down yellow with beige or white for a warm glow in the bedroom. Use a strong shade of yellow for dark hallways. 2) Red: Red is an intense color and reflects a passionate personality. A person who loves red is outgoing and ambitious but can very quickly change their mind. Red in home decor should be muted to avoid negativity. 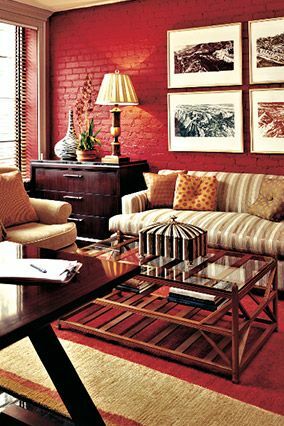 Choose a shade of red like brick or terracotta which is elegant and sophisticated and not too intense. If you do love a bright red shaed, then use it as an accent. 3) Orange: Orange usually appeals to people whith a penchant for luxury and opulence. Such people live their life king size and love social gatherings. Orange is the color of youth and vitality. Use a bright shade of orange to create a focal point in your home. It is a great choice for dining rooms as it stimulates the appetite. 4) Green: Green is associated with the outdoors- grassy landscapes and lush forest. Green relfects a personality that longs for peace, quiet and belonging. It is a harmonious color and can be used throughout the home. Mix green tones with shades of blue to create a natural, outdoor environment indoors. 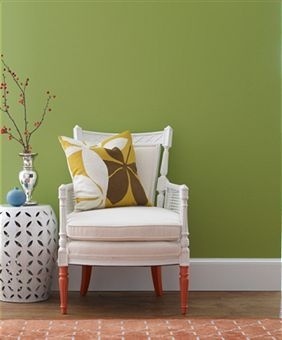 Brighten up a dull room with shades of citrus green and white. Courtesy of Yolo Color House. 5) Blue: Blue is a fresh color with a soothing effect. Someone who loves blue is compassionate and level headed. 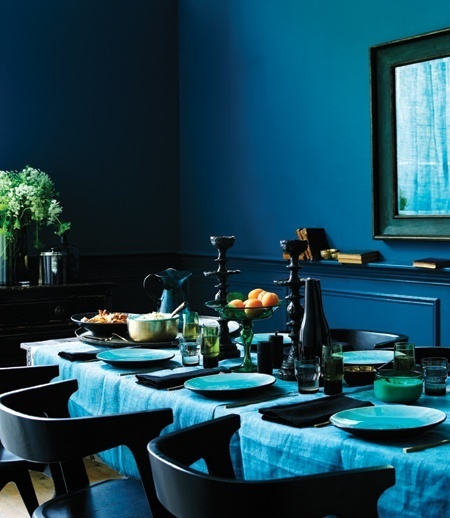 Blue is a versatile color and can be used as a core color in your interiors. Try painting your ceiling a shade of light blue to make the room feel larger. Combine blue with yellow to create a cheerful space. Add a dash of green to a blue decor for a calming sensation. 6) Pink: In Feng Shui, pink has been associated with love and romance. It is a great color to help reveal your inner poetic self. Those who love pink want to feel good about themselves and have a romantic outlook in life. Pair your favorite shade of pink with a masucline color like brown, grey or black to achieve balance. Add grey to pink to make a bedroom feel sophisticated and romantic. Use bubblegum pinks for girl’s bedrooms. 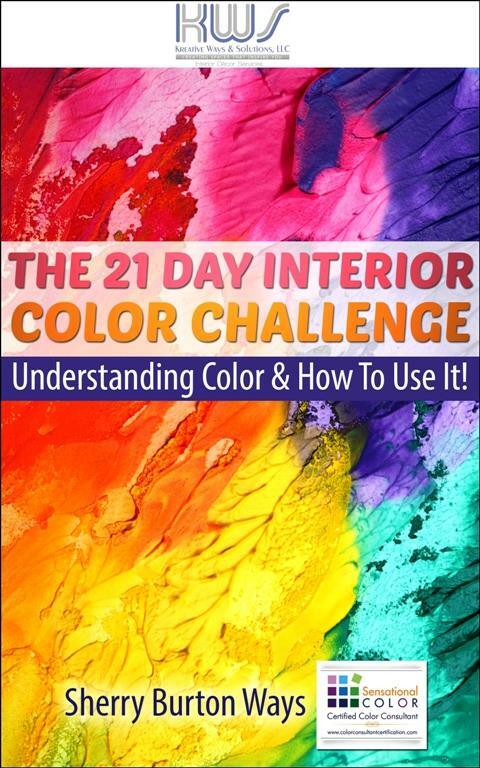 Interested in learning more… try my 21 Day Color Challenge E-book for only $4.95. Email me at interiors@kreativeways.com to get yours!